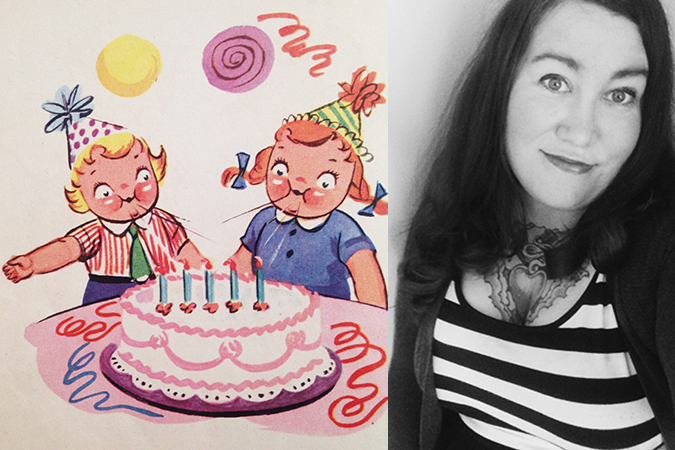 Last month I turned 37! Its so funny as I inch closer and closer to 40 how little it bothers me. I think it has a lot to do with how you feel, and I really do not feel old (not that I think 37 is old, but I think a lot of people start tossing out the word old the close you get to 40) Age is relative and I feel great, and young! My birthday fell on a Tuesday and Tom took off work to spend it with me. 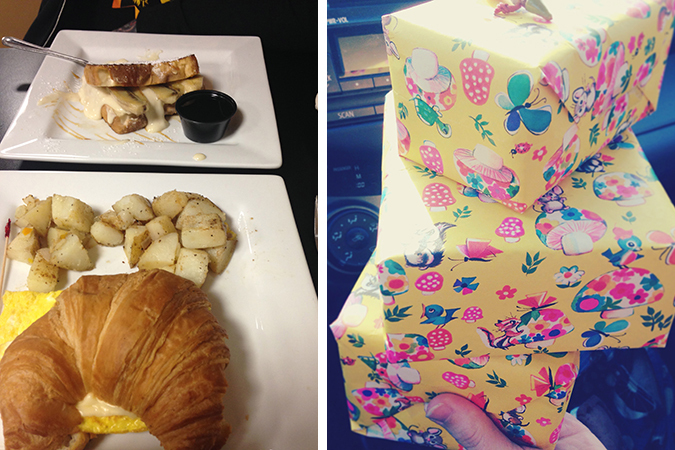 We went out to breakfast to a local place I love called Christine’s. 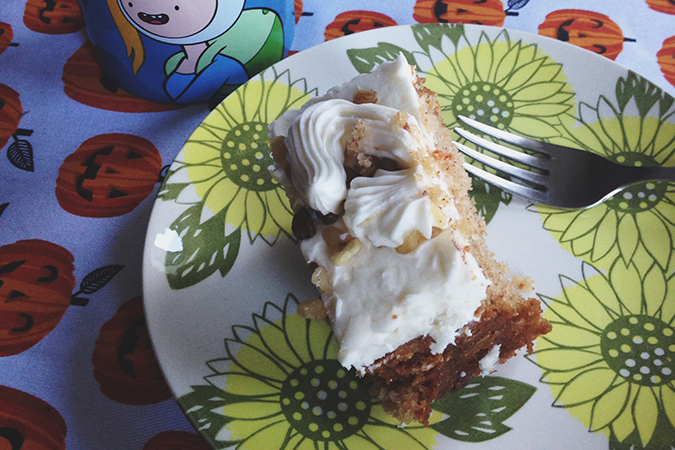 There was some amazing cake in the evening. Three small cakes to be exact, german chocolate, carrot cake, and chocolate peanut butter from a local bakery/fresh produce shop called Paul’s. 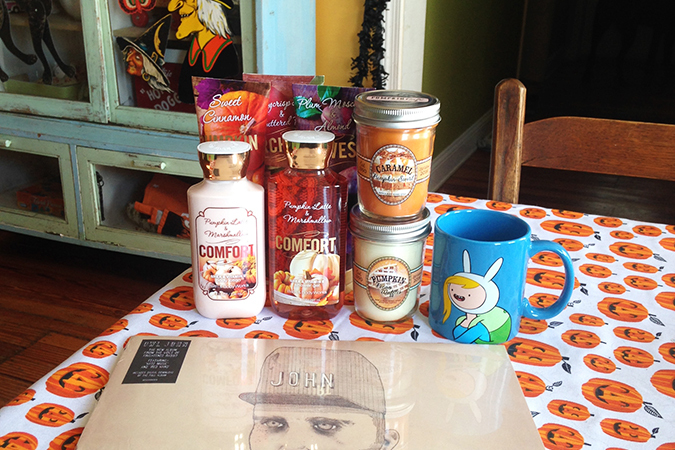 An amazing new record, all the fall bath and body works, adventure time mug! I also got to celebrate my birthday two other days, one with Molly and one with Heather. 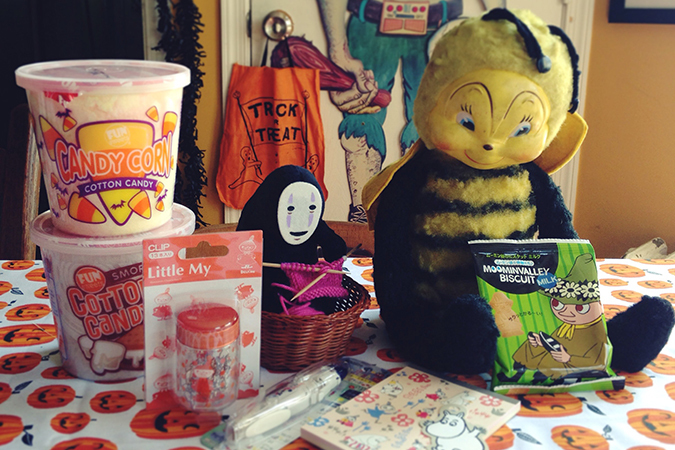 Molly took my out to brunch and then gave me all these crazy thoughtful gifts (look at that vintage bee!) Then the day after my birthday I met up with my sister for a lunch date and as always she wraps her gifts so beautifully. She got me a bunch of the Harajuku Girls perfumes that are hard to find. They all smell nice, but mostly its the adorably shaped bottles that get me.